Local Midland roadside emergencies can range from a flat tire downtown to being stranded in a snowy ravine for three days. So you may want to consider a basic emergency kit to keep in the car at all times and a travel kit tailored to a specific trip. Your close-to-home kit for around Midland would have some basic items to work on your car: everything you need to change a tire, gloves, a couple quarts of oil, some antifreeze and water. A can of tire inflator is a great temporary fix for minor flats. You'll also want jumper cables or a booster box, flares, a flashlight and some basic hand tools. Midland Drivers: Is It Time to Replace Your PCV Valve? When you are diving around Midland, fuel is burned in your vehicle engine, it pushes the pistons down and the crankshaft rotates and sends power to the transmission. Some of the explosive gases from combustion squeeze past the pistons and down into the crankcase. Also, the pressure build up would blow out seals and gaskets. So in the old days, there was just a hose that vented the crankcase out into the air. Obviously, not good for our air quality in Midland, Texas. Your vehicle manufacturer usually recommends they be changed somewhere between 20,000 to 50,000 miles/30,000 to 80,000 kilometers. Unfortunately, PCV valve replacement is left out of some vehicle owner's manuals, but your friendly service advisor at West Texas Automotive, we will make sure your PVC is replaced if needed. Today we want to talk to Midland drivers about timing belts. They're something that many drivers don't know much about and yet your vehicle won't run if it's broken – and it could cause many thousands of dollars damage if it does break. A broken timing belt is usually a tale of woe. Even though timing belt replacement is scheduled in the owner's manual, it's not the kind of thing that most Midland area auto owners remember because it's not well understood. Now, not all vehicles have timing belts. Some have timing chains. Like the name implies, they use a chain rather than a belt to perform the function. It used to be that most engines used timing chains, which are extremely durable. The leading vehicle manufactures started using belts rather than chains to save money in the manufacturing process. So now Midland drivers and their advisors at West Texas Automotive are left with a component that can break. They sort of shifted the problem to us. There are two broad categories of engine design: interference and non-interference. 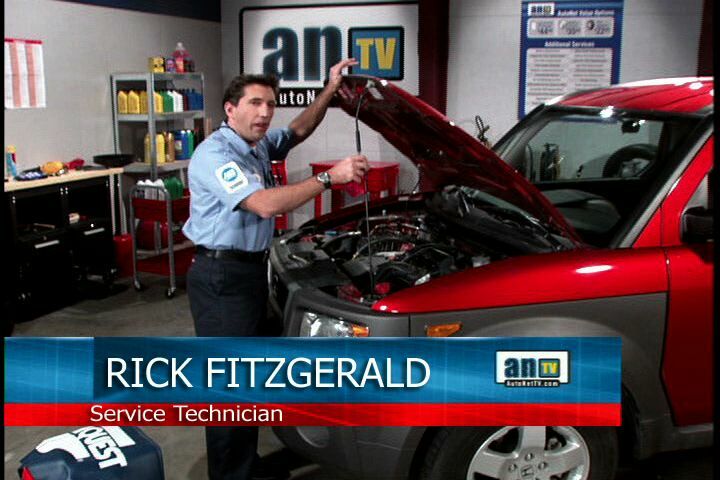 If the timing belt on a non-interference engine breaks, the engine simply stops running. That could be very dangerous for drivers depending on where they are at the time, but it causes no internal engine damage. So, what are the warning signs? Unfortunately, there really aren't any. There aren't tell-tale sounds. In some vehicles, a technician from West Texas Automotive may be able to see part of the belt for a visual inspection, but many have a cover that's in the way. The reality is that if the belt slips even one notch, it might as well be broken for all the damage it'll cause. There's no middle ground. So how can we avoid these problems? Simply replace the timing belt when your owner's manual calls for it. It can be 60,000 miles/97,000 km; it might be 90,000 or 100,000 miles/145,000 or 160,000 km. The point is, if you have 60,000 or more miles (97,000 or more km), ask your West Texas Automotive service advisor right away if your vehicle requires a timing belt replacement. Sometimes Midland drivers can go quite a while without a failure, but we've seen them happen within a couple of oil changes of being due. It's not worth the risk. What does it cost to replace a timing belt in Midland? Well, that really depends on what kind of car you have. I can tell you that it's usually not very easy to get to the timing belt – you often have to remove some accessories to get at it. It isn't a cheap procedure, but it's a fraction of what it could cost to repair the damage caused by a failure. At West Texas Automotive in Midland, we're all about trying to prevent repairs, keeping you and your passengers safe and increasing your driving enjoyment. Hello Midland, let's talk about your often-unnoticed but extremely important PCV valve. The energy from exploding fuel is what powers your engine. But some of the vapors from the explosions escape into the lower part of the engine, called the crankcase. The crankcase is where your engine oil hangs out. These gases are about 70% unburned fuel. If the gases were allowed to stay in the crankcase, they would quickly contaminate the oil and turn it to sludge. Midland folks know that sludge is one of the biggest enemies of your engine, clogging it up and eventually leading to expensive failures. Also, the pressure buildup would cause seals and gaskets to blow out. Therefore, these gases need to be vented out. Pre-1963, gasoline engines had a hose that let the fumes vent out into the air. In 1963, the federal government required gas engines to have a special one-way valve installed to help reduce dangerous emissions. (Can you imagine how polluted our Texas air would be if every car had been releasing those poisonous fumes for the last 50 years?) Diesel engines are not required to have these valves. Eventually, the PCV valve can get gummed up. Then it can't move enough air through the engine to keep it working properly for Midland vehicles. If the PCV valve is sticking enough, you could have oil leaks, excess oil consumption and a fouled intake system. 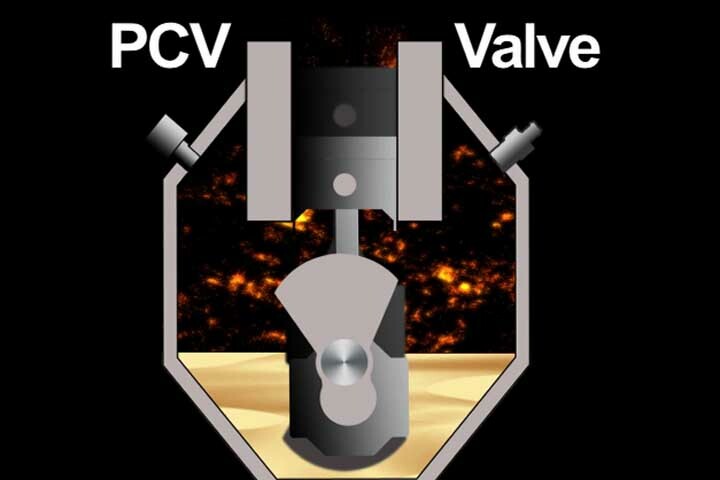 If you experience hesitation, surging or an oil leak, it may be a sign of PCV valve problems. Your vehicle's owner's manual may give a recommendation for when the PCV valve should be replaced - usually between 20,000 mi/32,000 km and 50,000 mi/80,000 km. Unfortunately, some don't list a recommendation in the manual, so it can be easy to overlook. Many PCV system problems can be diagnosed by our technicians at West Texas Automotive . Fortunately, PCV valve replacement is both quick and inexpensive at West Texas Automotive. 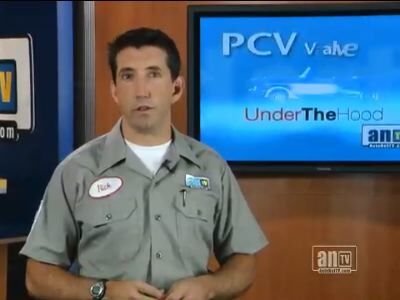 Proper oil changes will greatly extend the life of the PCV valve. Skipping a few recommended oil changes can allow varnish and gum to build up in the valve, reducing its efficiency. So now when your Midland service technician tells you its time to replace your PCV valve, you will know what he's talking about. If you have had your car for a while and this is the first you've ever heard of a PCV valve, ask your technician to check yours out or call West Texas Automotive at 432-689-5414.